Glaucoma is a major and frequent cause of blindness in the western world. Many people know that glaucoma is associated with the pressure of the eye. In reality, glaucoma is a disease of the optic nerve and pressure of the eye is a key factor associated with the damage. The optic nerve (also called the 2nd cranial nerve) carries the images we see of the retina to the brain like an electric cable containing hundreds of thousands of wires. Each cord or nerve fiber carries a signal to the brain and these signals are joined together and form vision. Glaucoma causes damage to nerve fibers, creating a blind spot or blind areas in our visual field. People observe blind areas where it has already caused significant damage to many nerve fibers. If the entire nerve is destroyed, blindness occurs. Early diagnosis and treatment by your ophthalmologist is the key to avoid the destruction of the optic nerve and blindness from glaucoma. A fluid called aqueous humor flows through the eye constantly. This liquid is not part of tears. The production of aqueous humor is behind the iris and the drainage in front of the iris. The whole production process and drainage, we can compare with a sink that we are constantly open the valve. If the drainage tube is closed, the water is collected in the sink and the pressure increases. Thus, the drainage angle of the eye closed, the pressure of the fluid increases and this causes damage to the optic nerve. 1. Chronic open angle glaucoma. It is the most common type of glaucoma. It happens when drainage angle of the eye becomes less effective over time. This causes a gradual increase in intraocular pressure. If this increased pressure causes damage to the optic nerve, then we talk about chronic open-angle glaucoma. More than 90% of patients with glaucoma, suffering from this type. Chronic open angle glaucoma damages peripheral vision gradually and painlessly. Sufferers perceive the problem, when a serious injury has already occurred. Rainbow and halo around the light. If not treated in time leads to blindness. In these cases required direct contact with an ophthalmologist. The gradual and painless closing of the drainage angle is called chronic angle-closure glaucoma and occurs more frequently in people from Africa and Asia. 3. Normal or low pressure glaucoma. There are cases where the intraocular pressure is normal or below normal and the eye suffers from glaucoma. This type of glaucoma is called normal or low pressure glaucoma and usually is due to low pressure in the ophthalmic artery or disruption of the microcirculation of blood in general. In this cases possible changes may occur also in the nervous tissue. 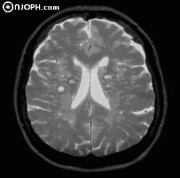 MRI (brain): in circles there microgliosis with neuroaxonal and glial cells degeneration, caused by vascular deficiency. They are two other types of primary glaucoma: the pigmentary and pseudoexfoliative. 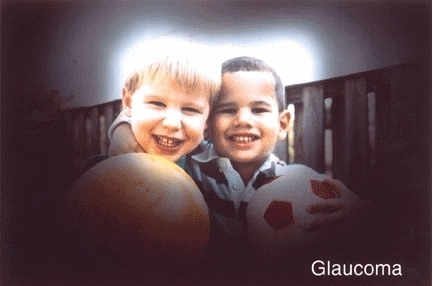 Another category of glaucoma is secondary glaucoma. Finally, special mention should be made for congenital glaucoma. In this rare case, the drainage angle is abnormal formed from the birth. Parents may notice that the eyes of their child:The child should be examined by an ophthalmologist immediately. Regular examination by an ophthalmologist is the best way to diagnose glaucoma. The ophthalmologist is the only person who can diagnose and treat glaucoma in that he considers necessary (eye drops, pills, laser, and surgery). Will measure the intraocular pressure (tonometry). Will measure the intraocular pressure several times during one, two or three days (tonometric curve). Will make ophthalmoscopic control (stereo or two-dimensional) of the optic nerve head. 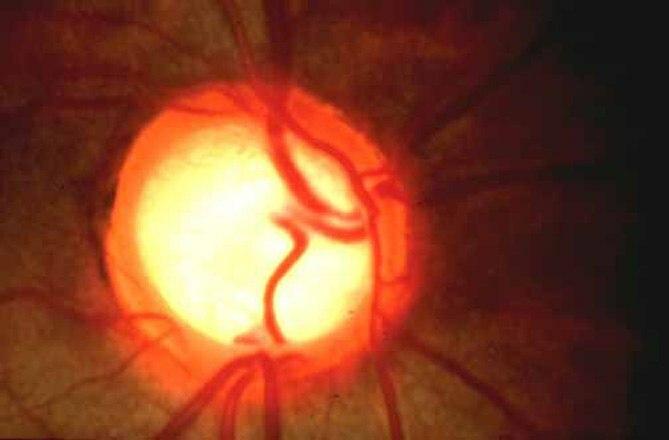 Fundus of the eye photo: a pathological image of the optic nerve head in patients with glaucoma. Examine the drainage angle of the eye which is located between the cornea and iris (gonioscopy). Intraocular pressure higher than normal is not always glaucoma. It depends also on the thickness of the cornea which should be measured (pachymetry), to obtain the true intraocular pressure. 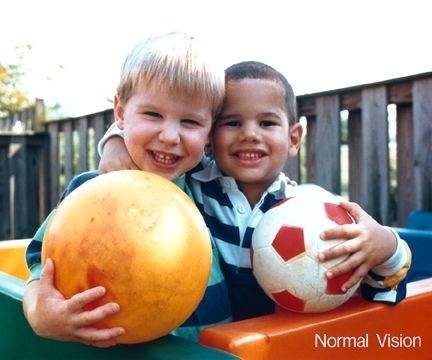 Sight loss usually begins with impaired peripheral vision, so we estimate the visual fields of each eye. Will make recording the thickness of the layer of nerve fibers, three-dimensional morphology of the optic nerve head and the staging of any damage by using high tech equipment (optical coherence tomography - OCT, HRT). Some of these controls are not necessary for every sufferer, but most should be repeated at regular intervals. Family history of glaucoma or diabetes mellitus. Old traumas in the eye. African ancestors (mainly mixed populations). The ophthalmologist will evaluate all factors before deciding if you need antiglaucomatic therapy. If the risk of glaucoma is higher than normal but do not have optic nerve damage then classified as "glaucoma suspect" and should be inspected periodically. Individuals with any type of glaucoma need regular examination. The damage caused by glaucoma is irreversible. The whole deal is intended to delay or prevent further damage to the optic nerve and not cure existing damages. Glaucoma is usually controlled with eye drops and rarely in combination with pills. This treatment reduces the intraocular pressure either by reducing aqueous humor production or by improving drainage. To be effective, treatment should be regular and continuous. Treatment is often accompanied by adverse events (foreign body sensation, redness, cloudiness, headache and color of the iris, eyelashes grow up), many of which usually disappear after a few weeks. Major side effects are changes in cardiac rhythm and respiration, where should contact directly with your ophthalmologist. The pills can cause "numbness" in your fingers and toes, drowsiness, loss of appetite, intestinal disorders including nefrolithiasis (“stone" in the kidneys). They are different LASER methods for different types of glaucoma. In chronic open-angle glaucoma, the laser at the drainage angle (trabeculoplasty) helps the medication to control the pressure. In angle closure or narrow-angle, is created a "hole" in the iris (iridotomy), to restore the flow of aqueous fluid in the drainage angle. If surgery is needed to control glaucoma, your ophthalmologist will use tiny tools to build new "path" drainage of aqueous humor. The process is simple, lasts a while and hospitalization is not necessary. The treatment "team" of glaucoma consists of two: the doctor and you! Remember this is for your vision. The medication will never stop or change it without consulting your doctor. Regular examination by an ophthalmologist is important to check for any changes in your condition. It is also important to mention to the other specialties doctors, the drugs you use for the eyes. - Every 3 to 5 years if the vision has not changed. - Every 1 to 2 years if a family member has glaucoma or diabetes. - If you have had severe trauma to the eye. - If you get treated with steroid drugs.